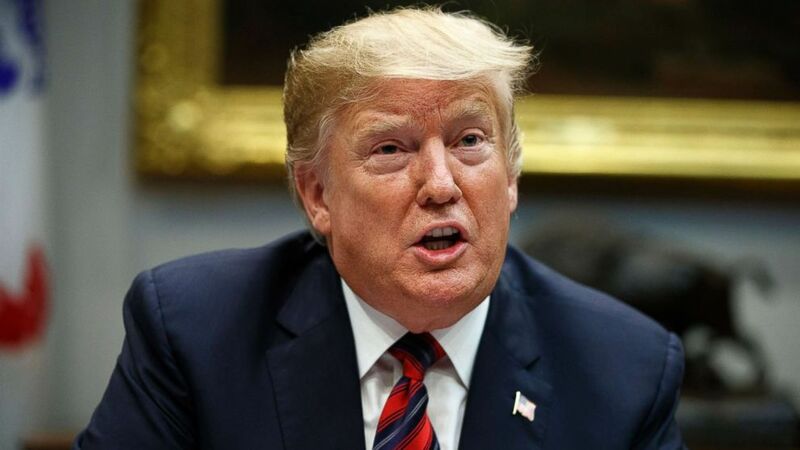 President Donald Trump took to Twitter again today to denounce the investigation by special counsel Robert Mueller, saying he should "never have been appointed" to the position and "there should be no Mueller Report." He claimed the investigation was "illegal & conflicted... in search of a crime." Trump blamed Democrats for creating the "excuse" of Russian collusion in the 2016 election "for losing." "THIS SHOULD NEVER HAPPEN TO A PRESIDENT AGAIN!" Trump added. He has repeatedly criticized the investigation since its start in 2017, calling it a "witch hunt."